When a ruthless powerbroker schemes to build a new Egyptian empire as glorious as those of the Pharaohs, Kurt and Joe tangle with the most determined enemy theyve ever encountered: the greatest legend of them all, Osiris, the ruler of the Egyptian underworld. 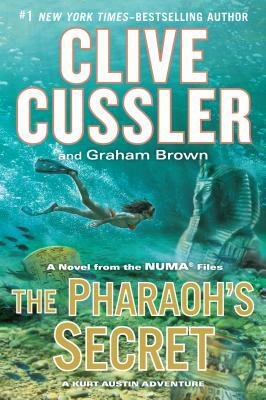 Clive Cussler is the author of dozens of ""New York Times"" bestsellers, most recently" "The Bootlegger"," ""Piranha"," and ""The Solomon Curse"." He lives in Arizona and Colorado. Graham Brown is the author of ""Black Rain" "and ""Black Sun"," and the coauthor with Cussler of ""Devil s Gate"," ""The Storm"," ""Zero Hour"," and ""Ghost Ship"." A pilot and an attorney, he lives in Arizona."